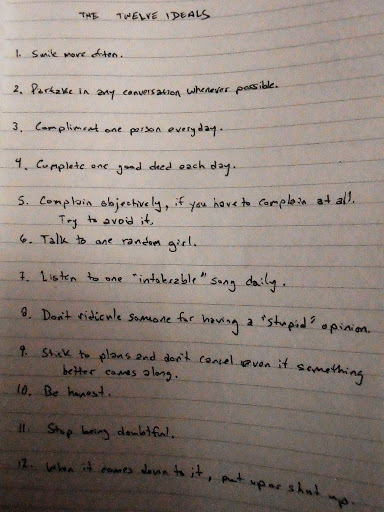 I came across this “Ideal Chart” that I made for myself a few years ago, because I felt I was a cynical jackass. Completely forgetting about it, it is nice to stumble across things like this. It’s even better when you realize that you have been following all along when you weren’t forcing yourself to.